This post is a written summary of the video case study for the Light Atop the Tardis corset I made back in May/June of this year. This corset was made for a girl attending Dragon*Con this August/September so I had to keep it a secret for several months, until after its debut at the convention. The corset itself is supposed to resemble (as its name suggests) the light on top of the Tardis while her skirt was the main box (which opened to show the impossibly huge interior of the Tardis). This corset is an overbust corset with a flat (not sweetheart) top line and bottom. The height of this from top to bottom is about 18 inches, with a 16″ busk. The shape is a very gentle/ modern hourglass and cinches in the client only about 2 inches (she is not a tightlacer, so I only made it tight enough to stay up on her body when it’s worn). This corset is fully made-to-measure, taking 16 measurements and additionally using a duct-tape form of the client to ensure a proper fit. 3 layers total; the fashion fabric is a matte white satin which essentially floats over a core of 2 layers of herringbone coutil. This satin was not cheap Halloween-grade satin – it was a type of bridal satin that had a heavier hand than most satins I’ve seen, and it gives a decent look to the corset even when the lights are off – i.e. it’s not so thin that it shows the ribbon underneath, so with the lights off people are completely unsuspecting. Nevertheless, the satin looks very wrinkly over the corset (a huge pet peeve of mine) however I couldn’t fuse the satin to the core since the lights required space underneath. Interfacing the satin did help somewhat but then the lights looked too diffused for my liking. Thus, wrinkles were a bit of a compromise to a very bright total effect. The faux boning channels and binding are made of a very lightweight, sparkly blue material with a crushed texture. I couldn’t press this blue material otherwise it would lose the texture, and the client wanted to keep the texture as it looks like aged wood (like the Tardis) so as a result, the boning channels ended up sort of puffy. This had a nice effect in the end, as it actually somewhat resembled the wooden dowels around the light. The core of two layers of coutil were constructed first, and bones were sandwiched in between the two layers. The waist tape was also inserted between the two coutil layers. The LED ribbon was laid down in vertical strips – I had enough ribbon to make about 2 rows of lights in each panel of the corset, and positioned them so that I knew they wouldn’t be covered by the blue faux channels. Even though the ribbon had a sticky backing, I still handsewed spirals around the ribbon to prevent it from shifting or coming away from the core when the corset is worn and moved around in. This handsewing took about 10 hours. Afterward, I assembled the fashion layer of satin and added the blue faux channels and binding (this was done separately from the core). The fashion layer is attached to the core by machine stitching at the center front by the busk and the center back by the grommets. The rest of the fashion layer I hand-sewed to the core with an invisible stitch underneath the blue faux channels. The first time I tried to sew the fashion layer to the core using a machine stitch, I accidentally sewed over a small section of ribbon and the lights went out in the center front panel. I had to start over again with the lights on that panel. To avoid that happening again I hand sewed between all the panels, which was incredibly time-consuming (took over 4 hours) but was the safest bet. The blue binding was machine stitched onto the fashion layer before the entire fashion layer was attached to the rest of the corset. Then on the top binding, I hand-sewed the binding with an invisible hem stitch to the inside core (once again, to avoid any mishaps – it also resulted in a cleaner inside). On the bottom binding, I hand-sewed snaps to the interior of the corset so that if anything went wrong with the LED ribbon during the convention, the corset could be quickly and easily opened and the ribbon fixed without having to pull out any stitches. Since this corset is made to close completely in the back, the client requested no modesty panel. Also, they anticipated the costume to be heavy and hot, and the convention to be crowded etc. 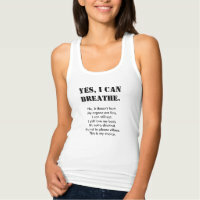 so having a little ventilation in the back would be an advantage. In the center front, I included a small modesty placket on the knob side of the busk so there would be no pinching of the skin between the busk, and no little gap of skin showing in the front. Heavy duty 16″ long busk with 6 brackets; it’s 1″ wide on each side and keeps the center front nice and straight. The client is slender anyway, but the heavy duty busk was also a precaution for keeping the corset from collapsing in any way from the weight of the corset (or the skirt, if the corset supported the hoop skirt). There are 18 steel bones not including the busk – as I mentioned before, sandwiched between two layers of coutil in the core. Before this corset, I usually put two bones on each seam of a corset. Since making this corset I now put one bone on the seam and one bone in the center of the panel as it better distributes the weight and the tension (unless the client requests otherwise). This simply requires a little bit of extra planning/ measuring on the panels, and some extra bone casing (if not using two layers of coutil). The bones on the side of the corset are 7mm wide spiral steel bones, while the bones sandwiching the grommets are spring steel. I used black size #0 grommets – initially I wanted to use a blue lacquer for the grommets and the busk brackets, but when I tested it out on some samples, the abrasion from the laces and the clasping of the busk caused the paint to wear off – not cool considering the rest of the corset is white, too. I didn’t want the paint rubbing onto the white bits, so just went with black grommets as it was the closest match. I used 1/2″ wide white double-faced satin ribbon for the laces, as it nicely matched the white satin on the rest of the corset. It was plush enough that if the client wanted to wear the corset with a bit of a gap in the back, it would still have the continuity of the white-blue pattern (although no lights on the gap). The leads of the LED ribbon come out of the bottom binding at the center back. The LEDs said that they were 12v however they were able to light up (not incredibly bright, but good enough for demonstration/ testing) with a standard 9V battery. Since weight/size was an issue for batteries, the client requested it be lit with four 3V medical button-cells. These lit up the corset brightly, but didn’t live very long (less than an hour) – they would be replacing the batteries all day, however they considered this better than connecting the corset to a 12V car battery). Because they’d be replacing the batteries all day, I couldn’t solder the wires to the batteries – which meant I had to make a housing with some kind of flexible contacts so they’d be able to connect/ disconnect the wires several times a day. Instructables to the rescue: tinfoil and electric wire solves everything. I modified the instructions so the housing would fit 4 button cells instead of one AA battery, and changed the shape of the tabs so they could wrap around the wires while staying free of eachother (which would result in a short – this won’t make a spark, but will make the batteries grow very hot). It was because of this safety risk that I also didn’t want to build a battery right into the interior of the corset. This is why the leads poked out of the back of the corset, so the housing with the pouch could be attached to the outside of the corset, attached with hooks and eyes, so it can be easily and quickly assembled and disassembled. The pouch also allowed up to a 4″ gap in the back of the corset (but would also scrunch up to accommodate a closed corset). This corset was by far the most challenging one I’ve made so far. I’m still rather disappointed about the wrinkling of the satin, as (in my eyes) it makes the whole thing look a little sloppy. In the future I’m going to experiment with a thinner fabric to start, and using a heavier-duty interfacing. The drawback to that will be a less-bright corset and a possible cardboard feel to the fashion layer, but with enough experimentation hopefully a good compromise can be achieved. In the future I will also definitely press the faux boning channels! This corset was an exception because of the texture of the fabric, but really pressing does wonders for making the channels look more even/ clean and giving the corset a more pristine finish. In the wiring, there’s not a lot that I would change. I may become a bit adventurous and add even more LEDs to the corset, butting the ribbon strips right beside one another (as one would do in continuous boning in a corset) to make it blinding. I had considered positioning the ribbon in a horizontal fashion but this made tacking down the fashion fabric far too complicated. If I make this again, I will likely machine stitch the fashion layer to the core instead of hand-tacking, as this will help to eliminate the wobbly look of the faux channels. To do this, I will need to secure the ribbon by hand one panel at a time, then machine stitch the adjacent faux channel down (being careful to avoid the real boning channel) before hand-securing the ribbon on the next panel, and so on… so a lot of going back and forth, but would almost definitely result in a cleaner finish. If I had more time, I would have made a safer and more professional battery housing, and constructed one for each side of the corset so there would be no restriction to how wide the gap in the back would be. If any problems arise in the lights, this would also be easier to manage one side of the corset or the other individually. I am currently doing Product Design – Textile for one of my GCSE subjects and I was planning in making a garment similar to yours. I was wondering if you could give me some advice on how to install the LED lights into the garment? Hi there, it’s really quite easy! The LED was on a tape that came by the roll. It’s flexible and has a sticky backing. I first played around with the layout and positioned it how I wanted it (in my case, I laid it back and forth in a serpentine shape) – I then peeled the paper off the back and stuck it to the strength layer of the corset. I hand-sewed around each one in a spiral to help further secure the tape in case the sticky backing became unsticky, which was the most time-consuming part. You can’t sew right over the tape, otherwise you may break the wire and the lights won’t work! Attaching the batteries in the back was quite easy as well; there are two wires that stick out of the LED tape and you simply touch the right wire to the anode and cathode of a battery with the right voltage. It will only work with the wires in one orientation. :) If you will be changing the batteries a lot, then don’t solder the wires directly to the battery. I have seen a lot of your you tube videos and they have helped me to try and purchase a corset or two for my wife. She’s not a fan at all of corsets but I think she looks wonderful in them when she does put one on. Any way I know this is an old video but, I am a gadget/light person and I have made a corset using EL wire to outline the boning or to make a pattern. The only pics I have are when I taped everything into place to test it. I put it on her and she didn’t know anything different until I turned the lights on and she wasn’t impressed. She made me undo what I did even though it was a corset she didn’t like. It was going to be for a night time event. There are battery packs out now on ebay that take 8 AA (4 on each side) to equal 12 volts and have more capacity than the button battery and still able to hide in the laces. I’m working on one now that has flexible RGB LEDs on the boning with a remote to change colors and flashes. If she doesn’t like it then I’ll give to a friend of ours. Any of this stuff is on ebay under, el wire or flexible led light strip. 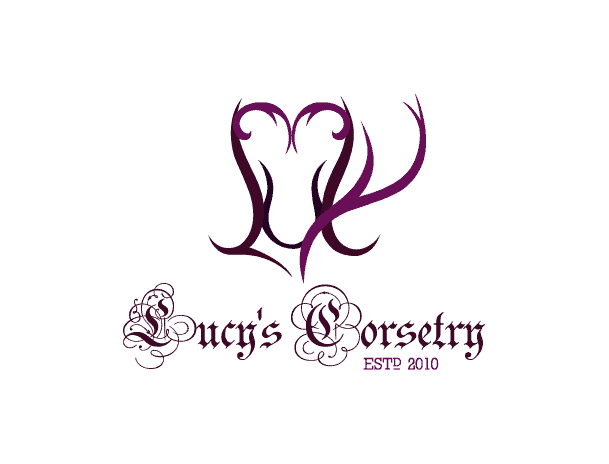 I would love to help with any advise because of your passion for corsets. Keep up the good work. Thanks so much for your help, Brandon! A few other people recommended EL wire, tape or the like for my next project. It’s good to know about the 4AA battery packs on Ebay. I do hope to recreate this corset or something similar in the distant future, when I have the time. :) Hopefully your wife likes the new corset you’re making her. How about using RGB led strips instead of white if you make another. Would let you change color on the fly. You could also add a small “Basic Stamp” and animate it.